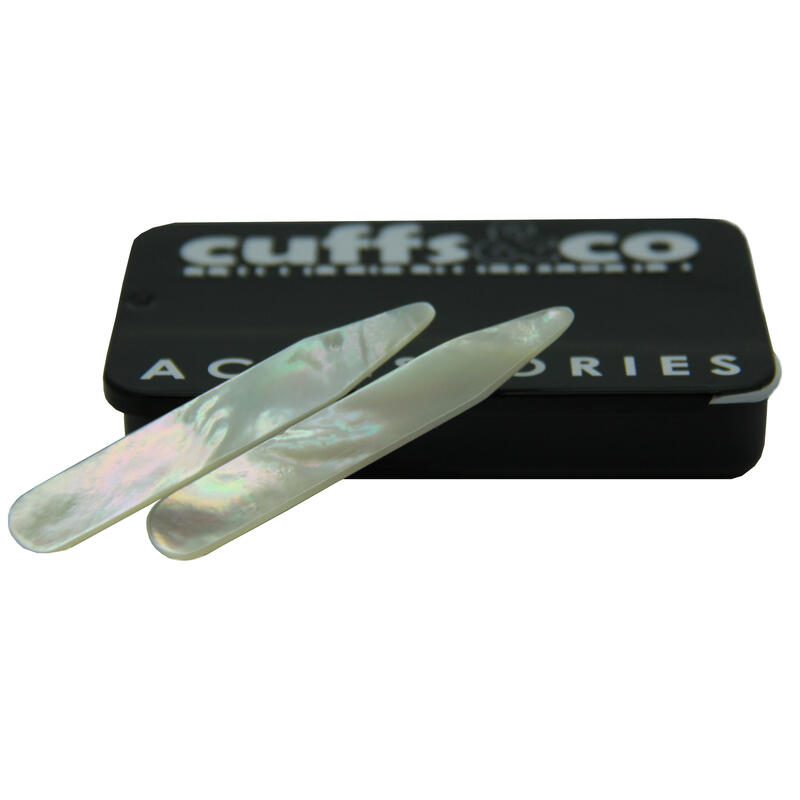 A travel tin containing one pair of mother of pearl shirt collar inserts, these are made from mother of pearl and are much thicker than the free inserts that come with shirts. 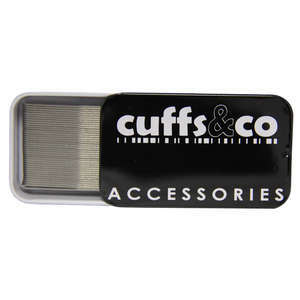 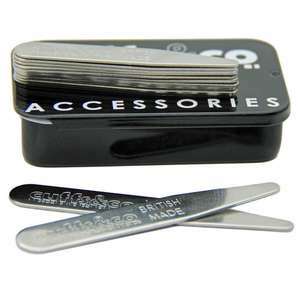 These measure at 64mm x 10mm are designed to fit most shirts available. 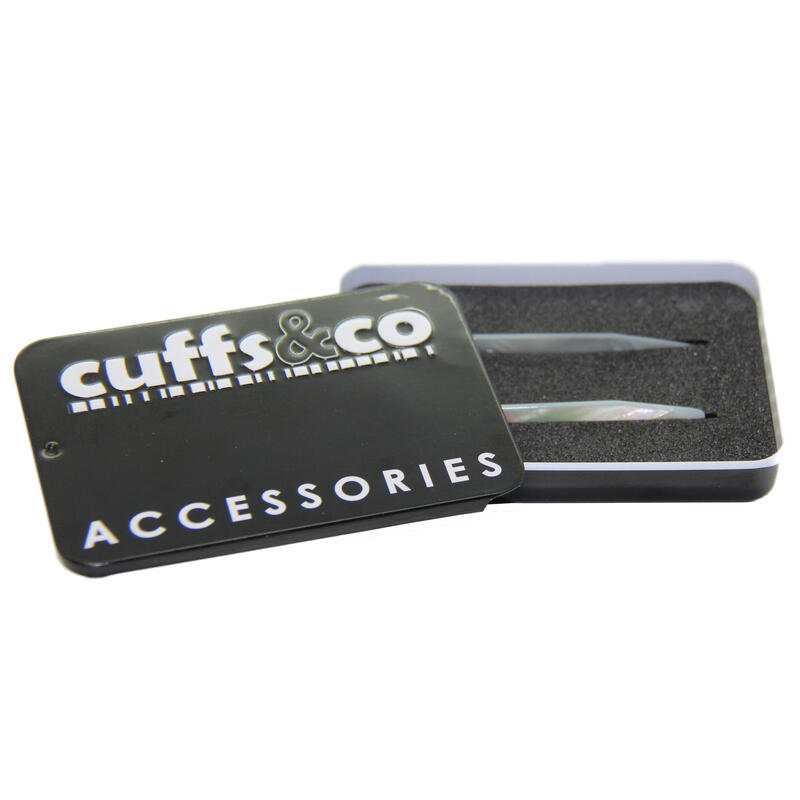 We offer FREE standard delivery on all orders to anywhere in the UK. 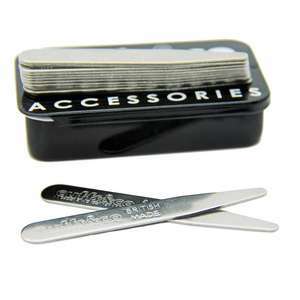 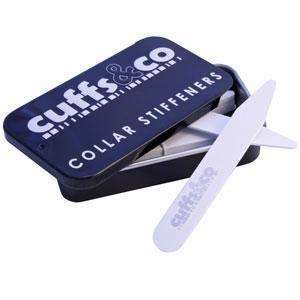 We have other collar stiffeners in different sizes.